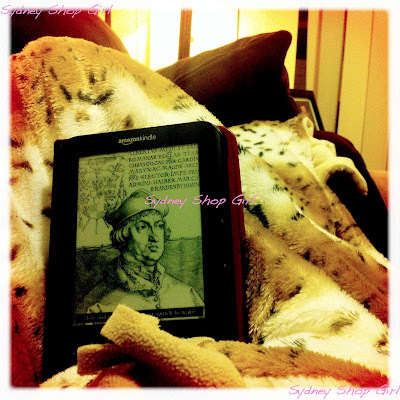 Sydney Shop Girl: Lovin' Life 7/6/2018: Winter Favourites. A few of my favourite things. The winter edition. Flannel pyjamas, thermals and an empty laundry basket. In conjunction with all of the above. Lazy evenings or early mornings spent in the company of a warm blanket and a good read. Even better if rain is pattering gently on the roof. 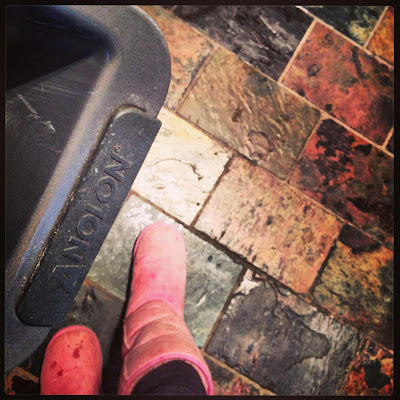 Ugg boots around the house. Red Hunter wellies for staying dry (and cheerful) in the wilds of suburbia after it's been raining for a bit. Uniqlo sweaters. 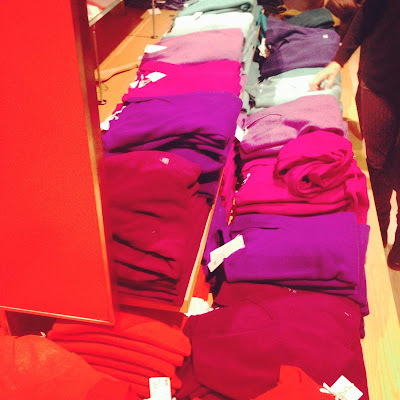 In cashmere or wool, in brights or neutrals, Uniqlo sweaters are the backbone of my winter wardrobe. Hearty dinners courtesy of my slow cooker. Getting warm from the inside with a little something extra in my mug of Moccona. Layers for young and old. Being rewarded for braving the rain and the cold with the sights of VIVID. I loved that vivid sculpture. And your scarf is sooo cool! Even here in Queensland the nights & mornings are ugg boot cool... There's something so lovely about proper tea, layers & warmming meals. I love curling up with a good book and am reading an excellent thriller at the moment called The Wife Between Us. I can't put it down. Enjoy your week SSG! I need to try that tea and strong black is my fave. Also want to try Turkish bread toast now too! I'm loving getting to layer, although I'm not completely happy with getting out of a cosy bed in the mornings, ha! The rain does make it perfect lazy staying at home weather. We don't have a drier so there are usually clothes all around the house when it rains, trying to dry off, ha! I'm tempted to get a slow cooker but I don't actually do much cooking. My mother has just bought a new slow cooker though as she loves it! dropping by from the Lovin'Life linkup.